Today Journal of Ecology published a paper titled ‘Lagging behind: have we overlooked previous-year rainfall effects in annual grasslands?‘ written by Dudney et al. Below, lead author Joan Dudney of University of California Berkeley, provides a background to the study. Return to the same place in an annual grassland and you will invariably notice that no two years look alike. The high inter-annual variability inherent to annual grasslands has puzzled ecologists for years. Drivers of these composition shifts are ostensibly complex and no single factor has risen dominant over others. This is somewhat unexpected, as water availability is obviously integral to plant survival, particularly in arid and semi-arid systems where water is often scarce. Weak links, however, between plant communities and rainfall continue to prevail in literature. 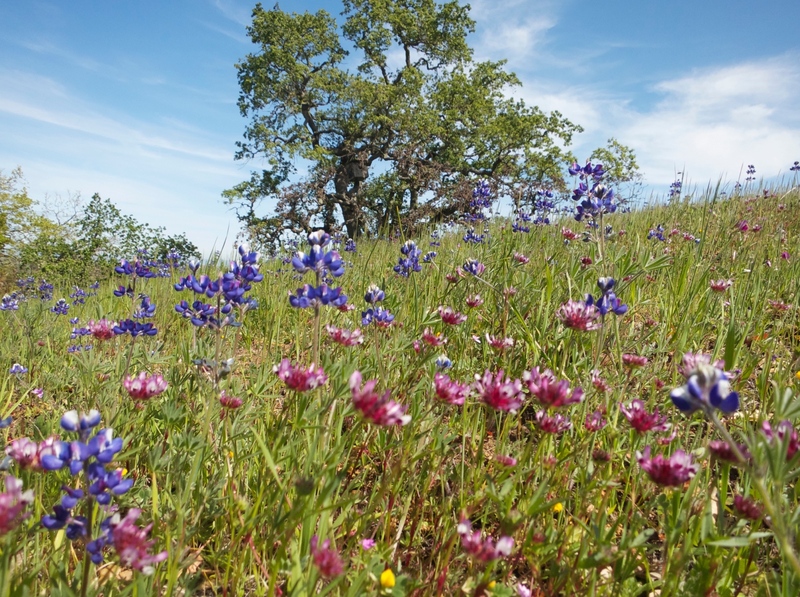 In our recent study of Californian annual grasslands, a new perspective on an old subject helped enhance our understanding of the effects of rainfall on grassland composition. Most studies in annual grasslands focus on current-year precipitation effects. Our study showed that previous-year rainfall is a key determinant of composition in annual grasslands. The most surprising result from our study was that previous-year rainfall, particularly spring rainfall, was a stronger predictor of forb and grass abundances than current-year rainfall. This may help elucidate why in our system, earlier studies found weak links between current-year rainfall and species shifts. 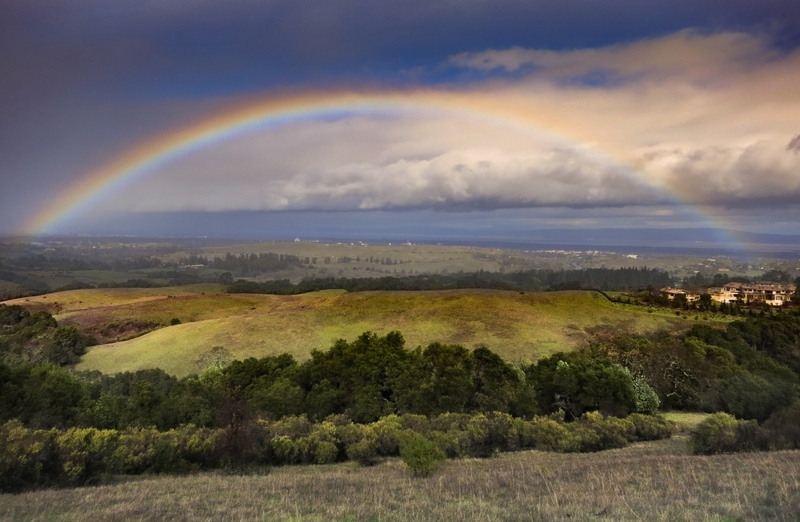 By also considering previous-year rainfall, we can better predict species composition as well as understand the varying impacts of rainfall on grassland communities. We paired our study with manipulative experiments that tested why previous-year rainfall may be critically important for annual plant communities. Our findings indicated that two major factors shifted species the following year: 1) the litter remaining at the end of the season and 2) the quantity of seeds produced by the species present. Thus, rainfall in one year stimulates the seed bank and regulates species competition for resources. The resulting community at the end of the season will affect the incoming community the following year, in part through the amount of seeds produced and the dry litter present as new seeds germinate (shown in the image below). The lagged effects of previous-year rainfall on current-year composition. In the face of accelerating environmental change, it is increasingly important to understand and predict how communities will shift across time, particularly for ranchers and conservationists. Our results suggest that annual grassland responses may be more predictable than previously thought when incorporating lagged rainfall and vegetation responses. Further investigations into lagged effects on native flora would be an excellent extension to this study and could provide valuable information on the future of an important biodiversity hotspot. October 18, 2016 in Author post, Early Career Scientist, Women in Science.